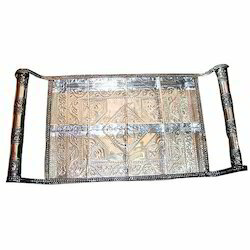 We bring forth for our clients an extensive assortment of high quality Metal Decorative Tray. 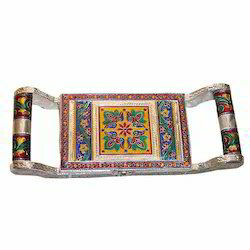 As per the international norms, this Decorative Tray is intricately designed by utilizing innovative tools & equipment under the direction of vendor’s devoted workers & experts. Antique design home decorative item. Dry cloth easy safe cleaning traditional tray. We have emerged as the foremost manufacturer, exporter and supplier of superior quality Wedding Decorative Tray. 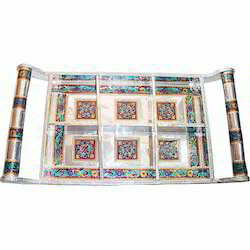 The offered Decorative tray is accessible in various designs, colors and patterns. This Decorative tray is extremely demanded in the market for its attractive design. The offered Decorative tray is designed and crafted utilizing best grade of basic material and leading edge technology in conformity with the latest market innovation. 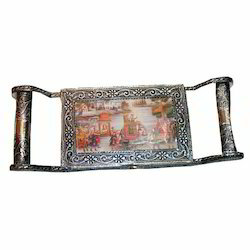 Furthermore, customer can take this Decorative tray within the promised time-frame. With the help of our state-of-the-art infrastructure unit, we are able to manufacture, export and supply superlative quality Wooden Decorative Tray. The offered book rest is designed by utilizing best grade unfinished material and latest technology in sync to the market standards. This book rest is used to homes & offices for decoration purpose. Along with that, we are offering this book rest within the stipulated period of time at reasonable rates. 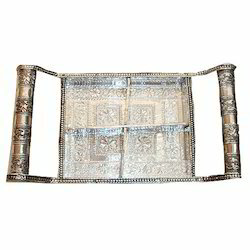 We bring forth for our clients an extensive assortment of high quality Metal Decorative Tray. 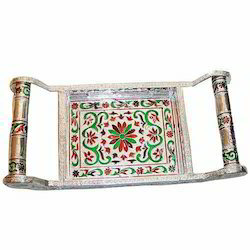 As per the international norms, this Decorative tray is intricately designed by utilizing innovative tools & equipment under the direction of vendor’s devoted workers & experts. 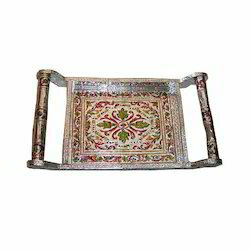 The offered Decorative tray is also examined on numerous quality provisions as per the predefined quality standards. In addition to this, the offered Decorative tray is broadly used in homes & offices. 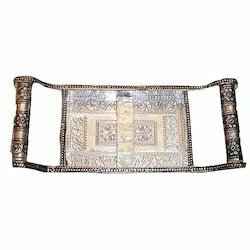 Our customers can purchase this Decorative tray from us at pocket friendly rates. We are also manufacturer of pet cremation urn, hookahs, brass, bathroom accessories bathroom sets candle stands hurricane candle stands hurricane candle stands table lamps decorative lamps, lampshades decorative lamps, lampshades lanterns hanging, aluminum urns, aluminum articles, aluminum art wares, aluminum flower vase, aluminum statues, aluminum wall hanging. 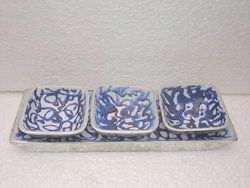 we have been able to bring forth a commendable array of Pottery Trays. Further, we provide these trays to clients in attractive packaging so as to ensure safe transits & enhance their overall appeal. Using eco-friendly material and latest detailing tools. We are also wholesaler of brass floor lamps, brass wall lamp, aluminum table lamp, aluminum pewter table lamp, aluminum lamp shades, metal decorative cremation urns, metal bowls, cremation urns, metal napkin rings, cake stand, decorative metal vases, designer metal planters, metal decorative figurines, metal lanterns, brass crafted gifts, brass crafted statues, brass animal crafts. We are also exporter of art deco wall sconce, bronze wall sconce, metal urns, cultured marble urns, ceramic, crystal & brass, natural marble stone urns, hardwood urns, angel urns, double urns, medium & small size urns. Home decorative leaf design bowl item. Dry fruit serving many parts leaf bowl. Party serving many item leaf bowl. Table Decorative leaf design bowl.